Jason Rindenau is a Senior Director at Mestel & Company, where he specializes in associate placement in the New York metropolitan area. He enjoys connecting with people, leading them toward excellent opportunities, and positioning them for long-term career success. 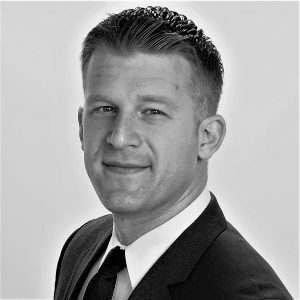 Jason joined Mestel & Company in 2018. With previous experience as a partner placement specialist at Major, Lindsey & Africa and education at a premier law school, Jason has built strong relationships with attorneys at all levels of their career and with various areas of expertise. He has a proven track record of identifying excellent opportunities for and positioning partners for career transitions at elite law firms and corporations. Jason earned his J.D. from New York Law School and his B.S. in Marketing from Rutgers University. He is a member of the Young Lawyers Division Leadership Committee for UJA Federation of New York. Jason lives in New York and spends his free time watching movies with his wife and chasing after his daughter through the playgrounds of Central Park.